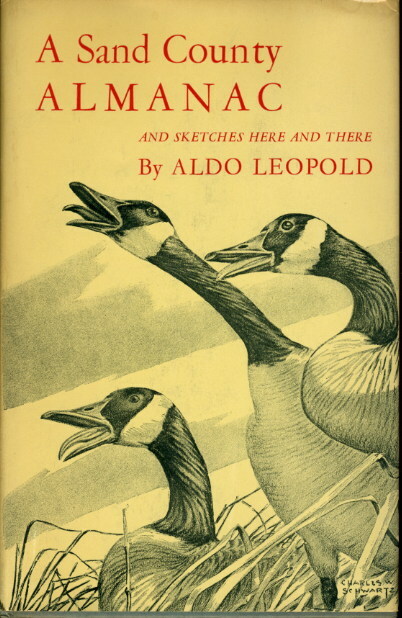 Aldo Leopold holds a place alongside John Muir and Henry David Thoreau among America’s most revered naturalists. His Sand County Almanac—published in 1949 a year after his death, and written during the years he and his family spent reclaiming the acreage around their farm near Baraboo, Wisconsin—is the Land Ethic movement’s seminal volume. The Shack where his family spent their weekends has sheltered many who have gone on to work at the leading edge of the conservation movement across America. As environmentalists and economic justice advocates search for common cause, Leopold’s early articulation that the health of the human economy rests on the health of the land has particular resonance today. The Field Guide spoke recently to Buddy Huffaker, Executive Director of the Aldo Leopold Foundation, about the Foundation’s efforts to communicate the Land Ethic to the broadest possible audience, and about Leopold’s relevance for our time. We also spoke with three former Leopold Foundation interns who describe how they have taken to heart Leopold’s lessons and how they are living out the Land Ethic in diverse locations around the country. Each of them brings to life what is often said about “Leopold Country”… that it is as much a state of mind as a geographic location. While Buddy Huffaker quotes Aldo Leopold with ease, he often invokes the words of the late Wisconsin Senator and Earth Day founder Gaylord Nelson: “The economy is a wholly owned subsidiary of the environment, not the other way around,” when he wants to capture the essential Leopold. Huffaker is increasingly heartened to see that almost 60 years after it was first articulated, Leopold’s nuanced perspective—that the economic, social, and ecological health of a community must be viewed holistically—is in so many ways informing the modern practice of conservation. Leopold also believed that it is as possible to connect with land in an urban setting as it is in a rural or suburban one, and the Leopold Foundation has been committed since its founding in 1982 by Leopold’s five children to nurturing those connections. “I think that is a fundamental question of our day as we have an urbanizing population, how do we ensure that people can build meaningful and loving relationships with the natural world?” Huffaker asks. “Obviously there are all kinds of burdens in terms of our overscheduled lives and difficulty of access because those empty lots and backyards are becoming developed. But also we over think it." Huffaker also maintains that Leopold would recognize no hierarchy of purpose when it comes to restoring and regenerating the landscape. He would have valued equally a wilderness preserved and a Brownfield reclaimed. “There may be a hierarchy in a carbon or ecological footprint sense but I think the really important thing is what we can do in the environment and context in which we find ourselves,” he explains. One of Huffaker's favorite Leopold quotes is: "The oldest task in human history is to live on a piece of land without spoiling it." "That is true whether you are in the heart of the metropolitan area or a largely rural agricultural landscape," he notes. Today, Huffaker reports, the greatest challenge of the conservation movement is enabling people to align their lifestyles with the Land Ethic value, wherever they find themselves. “How do we create the positive reinforcement we all need to meet the difficult challenges of living lightly on the land?” he asks. “I think in some ways we had this great good fortune that Leopold was tracking this course as early as the 1920s. He recognized it wasn’t either/or …to be thoughtful ecological citizens or just mindless consumers.” The Leopold Foundation continues to explore that “middle ground” in its work and outreach. 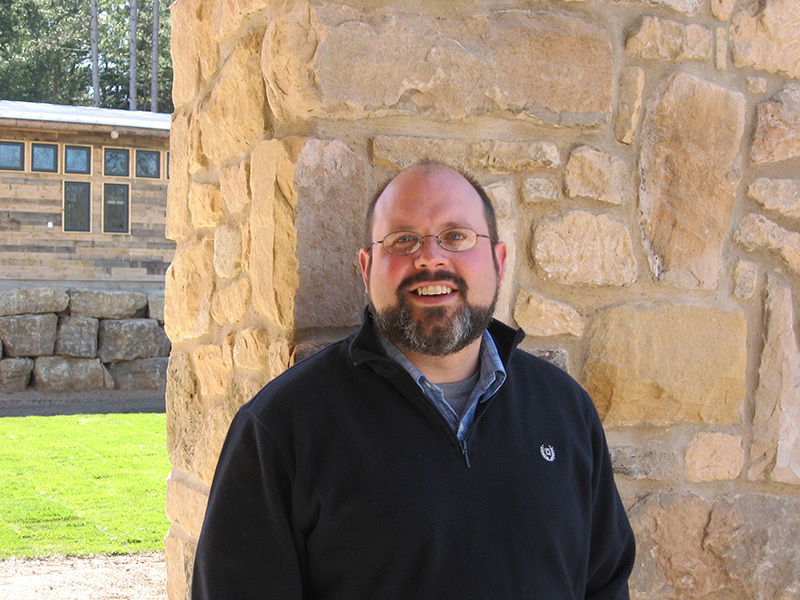 Photo of The Aldo Leopold Foundation's Executive Director Buddy Huffaker, a still from the Green Fire film. The Foundation also conducts programs that take Leopold out into the world. Growing out of a regional effort entitled “The Driftless Forest Network,” the foundation has been working to enable state and federal agency employees who work directly with landowners to be persuasive communicators of Leopold’s conservation ethic. “Some people get brought to these professions because they love to be outdoors,” says Huffaker. “And they can talk very well in technical language about ecosystem processes and net primary productivity, but most other citizens don’t have that vocabulary and tend to be more interested in more visceral ideas and emotions. So we help some of these agencies translate that to inspire landowners.” The Foundation has assisted other such regional efforts from Wisconsin to New England, and from Mississippi to California. Another traveling program, The Land Ethic Leaders, shares the Leopold Land Ethic with private landowners. “We recently had a team working with ranchers in California,” Huffaker explains. “We were imparting the tools to help them engage in conversations about why they care about conservation, to explain why good grazing practices and healthy food are so important. They then become ambassadors to build an Ag community of other growers and producers who will be stepping into some of these practices.” The Land Ethic Leaders program has been shared with over 700 private landowners throughout the country, including those in the forestry community. “It’s fun to see the ripple effect, how they are taking the idea of the land ethic and engaging their community,” says Huffaker. “Sand County Almanac and Leopold’s work has stood the test of time because of his scientific knowledge, but it is really about values,” Huffaker summarizes. Trailer from the film Green Fire. To learn more, visit the Aldo Leopold Foundation website.